By ISS Education on June 18, 2018 in Our blog! 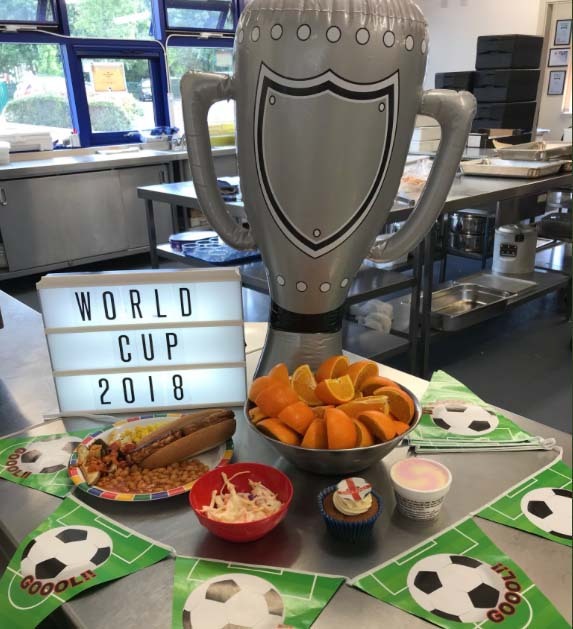 To kick off the start of the Football World Cup on the 14th June, we invited pupils across the country to join us for a stadium inspired lunch! We served up ‘build your own’ hot dogs which pupils could customise with different toppings, and tasty veggie chilli topped wedges. Pupils who dined with us on the day also had the chance to win a mini football or sports vouchers for their school with our Spot the Ball competition! Our kitchen teams love to go the extra mile for themed lunches – decorating the service counters with imaginative displays of fruit & veg and donning fancy dress to entertain their customers. 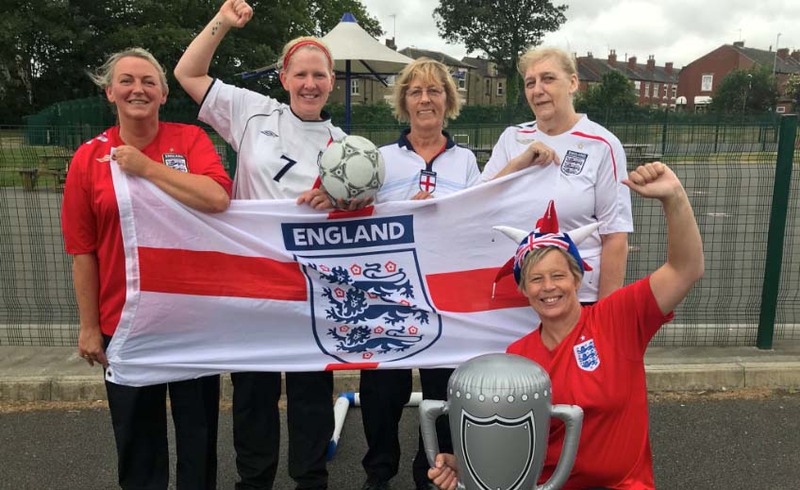 We didn’t want to miss out on the fun, so we visited a couple of schools in Essex to check out their celebrations on the day. First up was Great Berry Primary, where the team did a fantastic job running their first theme day with ISS Education, and looked marvellous dressed up for the occasion. 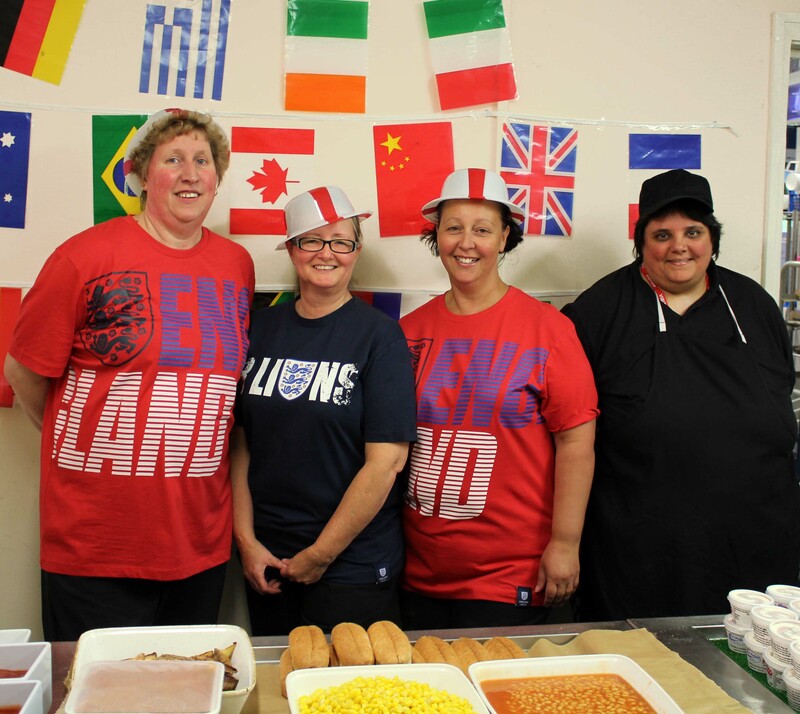 Then we checked in with our team at Janet Duke Primary, who were very much in the spirit of the occasion and really looked the part in matching England shirts! The pupils were clearly excited by the festivities, and the food looked and smelled mouth-watering! 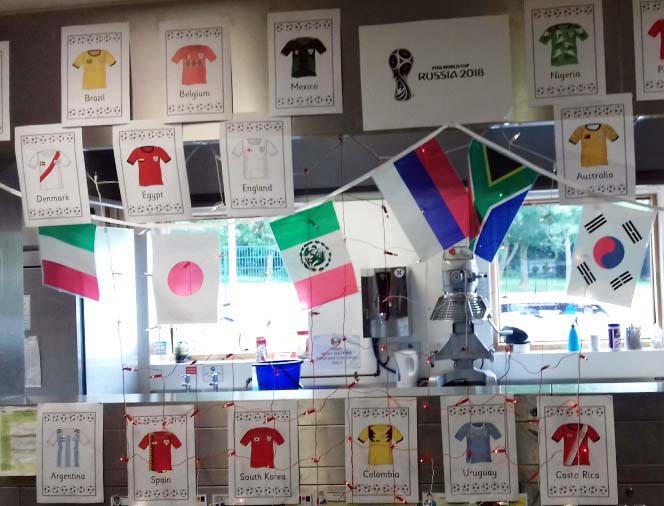 The World Cup is a great opportunity to engage pupils with sport and celebrate diversity. It encouragespupils to celebrate their heritage and learn something about where their friends come from. Whether you’re supporting England, Russia, Costa Rica or Nigeria – everyone can come together to enjoy the beautiful game!